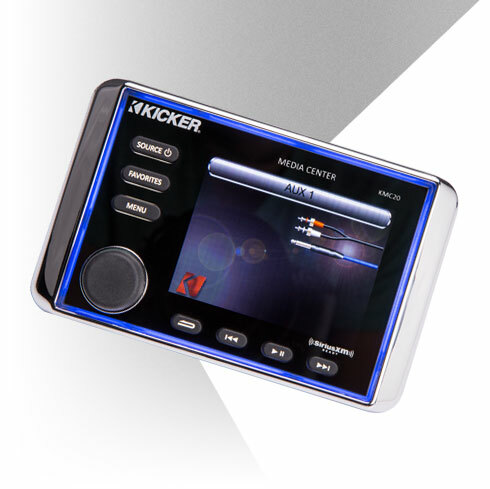 The dual-zone KMC20 is perfect for the boat owner who wants the best in marine entertainment. 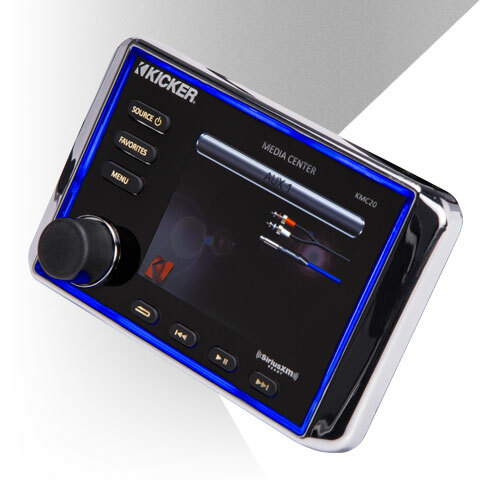 This marine head unit has a large, sunlight-readable 3.5” LCD display with IPX6 waterproof certification, so you can count on reliable tunes on the water. 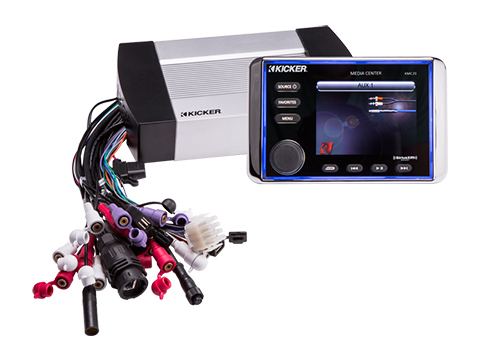 The separate “black box” processor easily mounts to the screen with the included cable. No matter where the journey takes you, this Media Center is custom made to keep you Livin’ Loud every moment of your cruise. In addition to the AM/FM/Weather Band radio, the Media Center streams Bluetooth® audio with full on-screen artist, track and title data. Dual charging USB inputs allow your thumb drive or smartphone to be the center of the party, and with SiriusXM® satellite radio* compatibility, you can enjoy the best in digital music and entertainment nationwide. 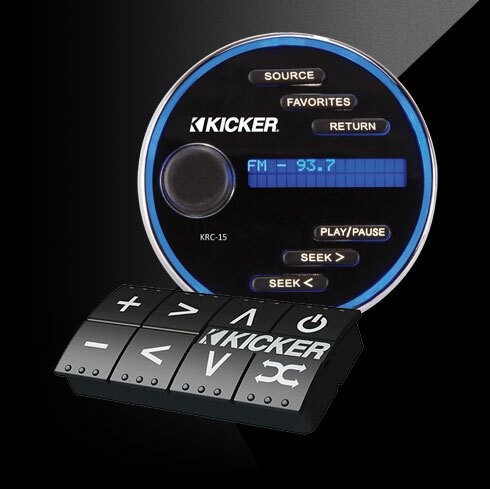 To complete an already impressive set of input options, two sets of auxiliary stereo RCA inputs allow you to add other audio devices with ease, then select a custom name for each. Plug them up. Turn them on. Party as needed. *Requires account and compatible receiver/antenna. The large, waterproof 3.5-inch LCD screen is specially built to be readable anytime with the built-in day/night mode. Big, backlit buttons and a rotary volume control make it easy to change volume, sources and stations - even when the water gets rough. The screen is connected to the processor with a single six-foot cable, and mounts on nearly any flat surface in the boat. Need even more install flexibility? 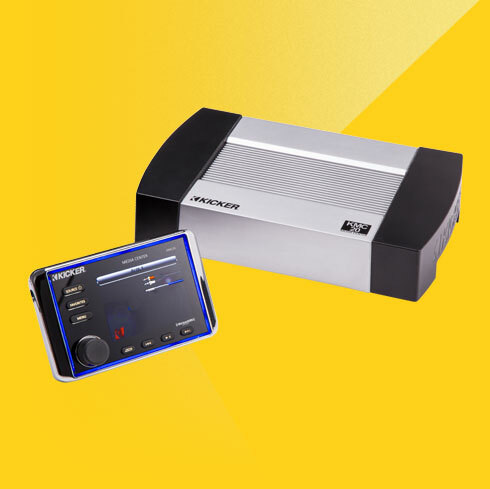 Use the KMCEXT25 when the display and processor are mounted more than six feet apart. When the fun is done, the IPX6 certified screen can be cleaned just by hosing it off! 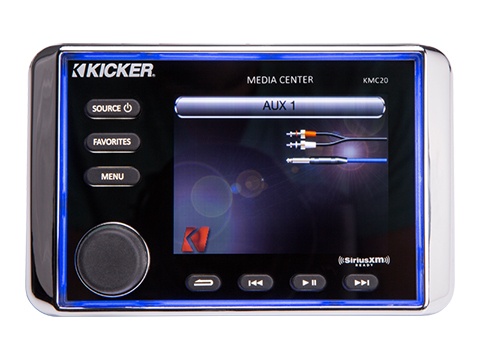 If you’re looking for a next-level audio upgrade, the KMC is ready, willing and able. 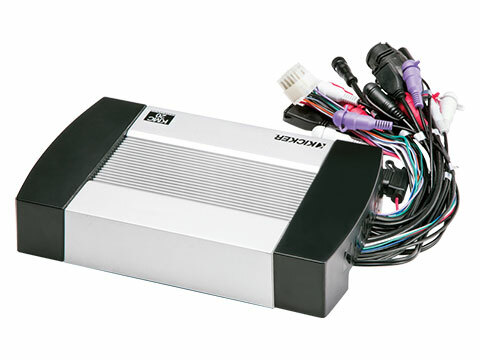 A full complement of four-volt RCA outputs - including a dedicated subwoofer output with independent level control – lets you add plenty of KXM amp power. Now you can make some waves of your own! The Media Center also features a Weather Band alert system, so you always know when Mother Nature is about to make the water rough. The KMC20 preserves your battery power by automatically monitoring the health of your battery’s voltage. If the juice gets low, your KMC lets you know!